See more Blog entries here. Achim Lippoth, born 1968 in Ilshofen, Germany is internationally working as freelance Photographer & directing commercial videos since 1992. His work, mostly focused on childhood, is constantly on exhibition and regularly wins international awards, such as the silver Lion in Cannes and the Epica award in 2015. Current exhibitions took place in Galerie Paris Beijing (Paris), Shay Arye Gallery (Tel Aviv) and at Catherine Edelman Gallery (Chicago). 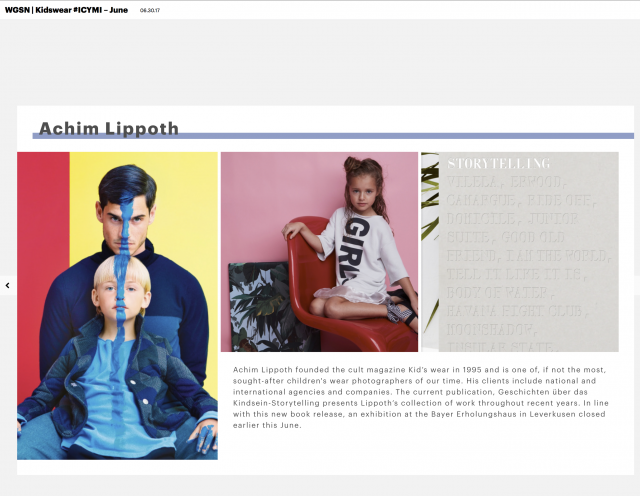 In addition to his photographic and cinematographic works, Achim Lippoth is founder and editor of “kid´s wear magazine”, which is published internationally for over 20 years.